Place 2 spoonfuls of Blue Berry Compote into bottom of rock glass. Add all the other ingredients into shaker. Add ice and shake vigorously slowly straining concoction over the highest ice cube in the rock glass. 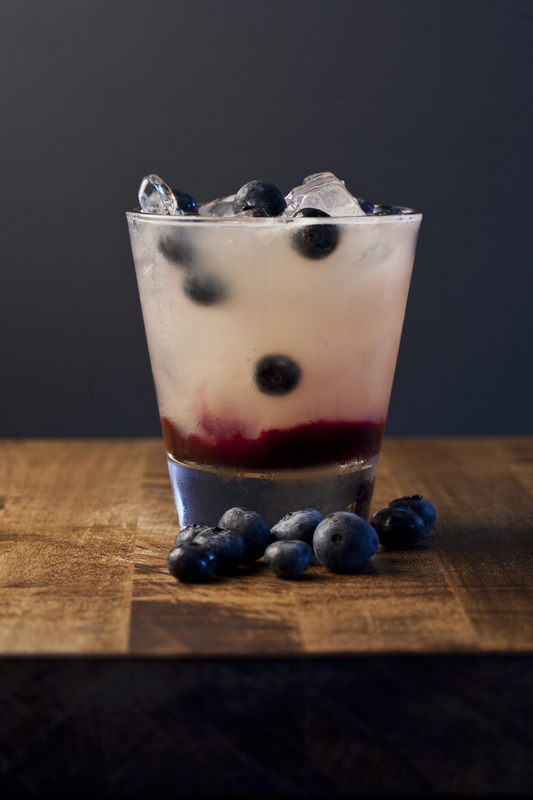 This will give the cocktail that layered look add fresh blue berries and garnish with a lavender sprig.